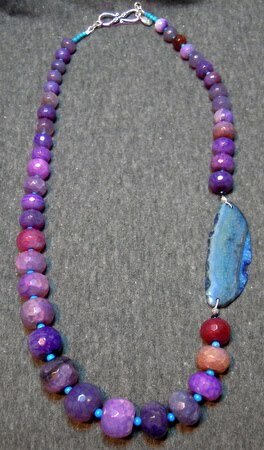 Whether you prefer purple or pink you can't go wrong with these artfully designed necklaces. Purple represents royalty, spiritual fulfillment, and peace of mind, as well as magic and mystery. Pink is the color of universal love and represents tenderness and care. If you seek calm, relaxation, acceptance and contentment, pink is the color for you.